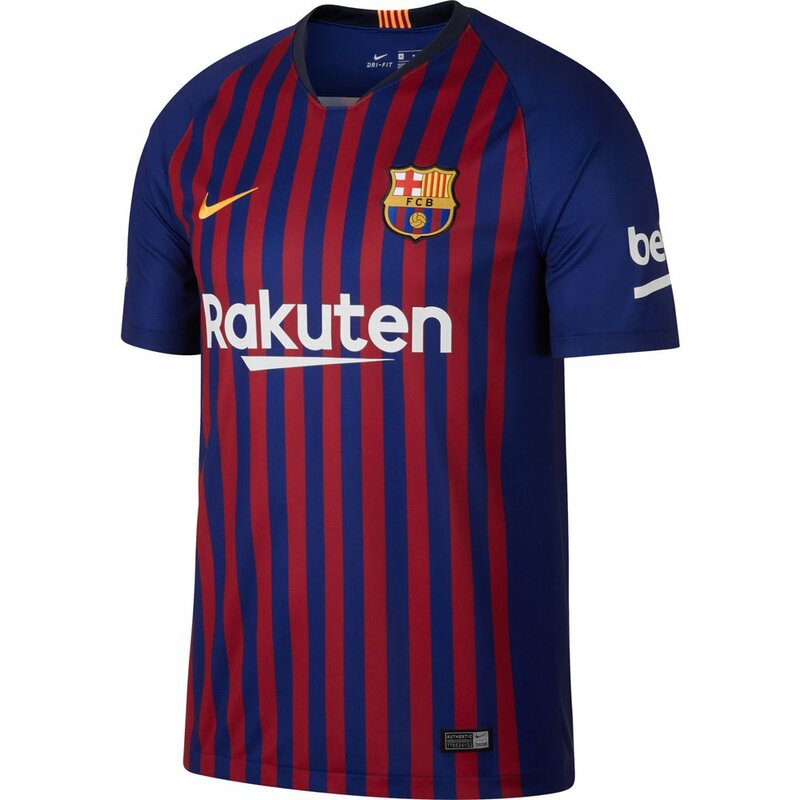 This jersey is a replica version of the one the 2018-2019 squad with wear in front of the home fans of Barcelona at Nou Camp. 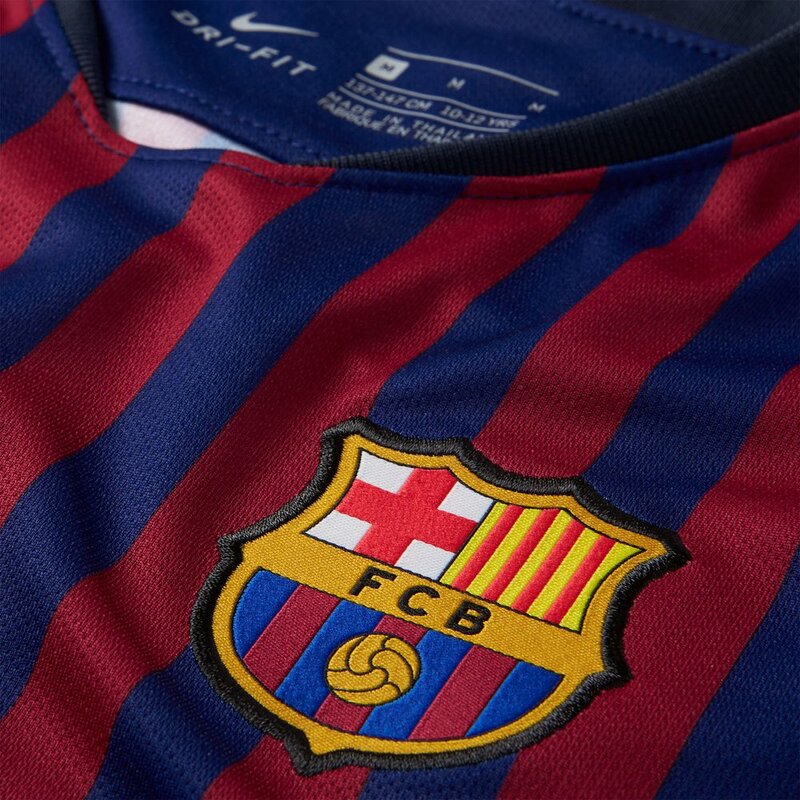 The '18-'19 team looks to capture the La Liga championship with Messi, Dembele, Coutinho, and Luis Suarez all returning. 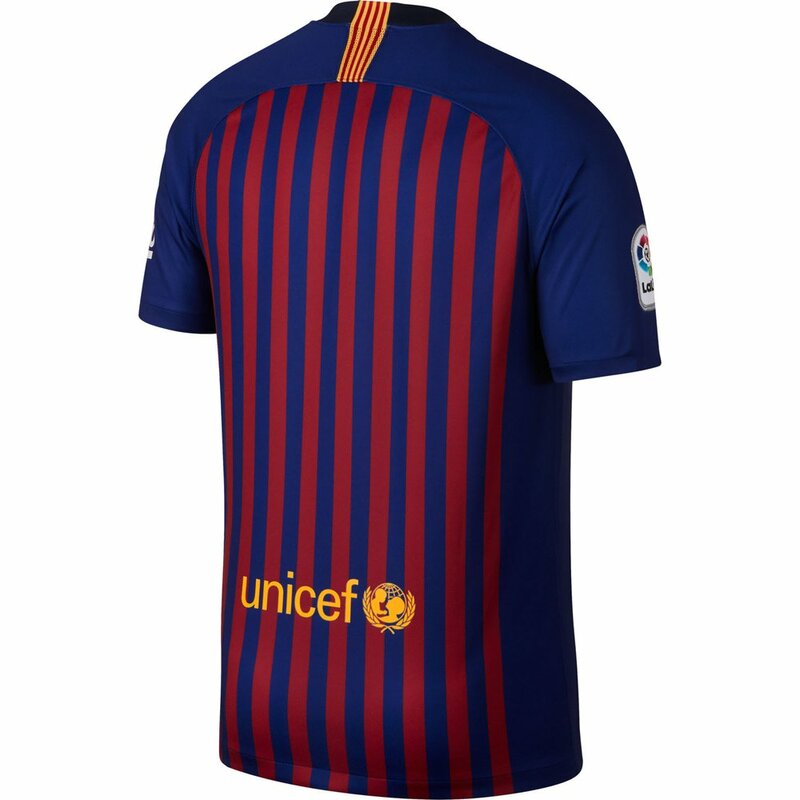 FCB will return to a traditional even width vertical stripe design have an all new sponsor on the front of the jersey, Rakuten. Show your Barcelona pride in deep royal blue and university gold! Nike FC Barcelona Home 2018-19 Stadium Jersey - Available at WeGotSoccer!